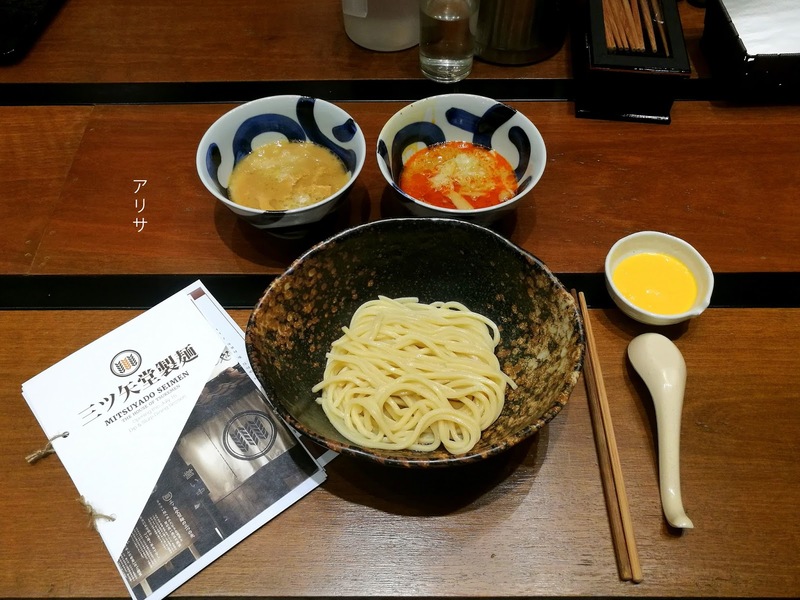 Mitsuyado Seimen - House of Tsukemen in Starling Mall, PJ! You are about to know why hasn't the numbers on my weighing scale dropped though i've been 7 months postpartum and this jello belly of mine hiding behind all those baggy shirts and puffy skirts probably resembles a 3 month old belly pregnant with nuggets. It's because there's just so much good food around lately, lots of Japanese restaurants opening their branches here in KL, Malaysia and i'm not complaining about it in fact i feel very blessed that i can satisfy my Japanese food cravings with these authentic dishes whenever i am back in Malaysia. I was once asked what kind of food do i usually eat? I definitely can't cook chinese dishes and i could barely stand our standard level of spiciness (failed nyonya) without suffering from a terrible indigestion & acid reflux afterwards. So i found it easier to cook Japanese dishes at home since most of them can be easily bought off the grocery shelves in ready made packs, all you have to do is either heat it up or dump in fresh ingredients like meat & vegetables, then it's ready to eat. 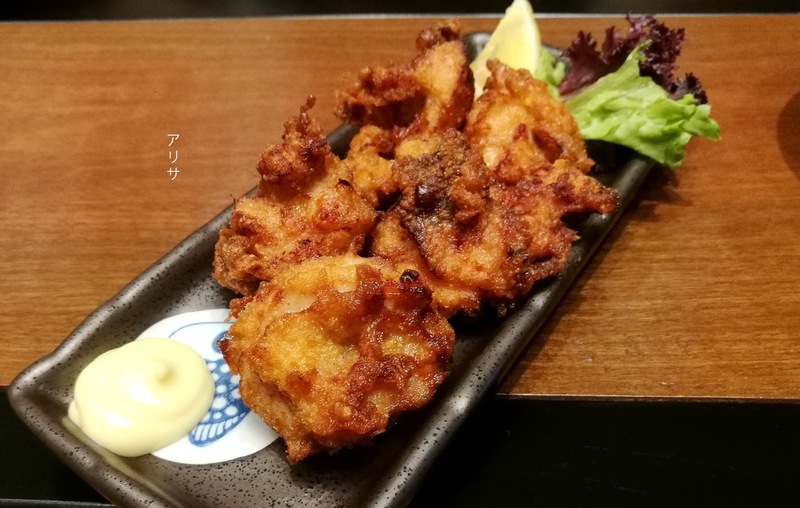 Over the years, you can say my taste buds grew accustomed to Japanese food la (yes i am a traitor to my own kind) but it's really a matter of food preference here as well so no arguments needed. Okay with my grandma story aside I'm gonna be sharing about my gastronomical (sounds so posh) experience earlier this week at Mitsuyado Siemen (三ツ矢堂製麺) and sorry if I did not reply all your inquiries about the place and other details because there's just too many and it is also easier for me to just leave it here in a blogpost so you guys can refer back to anytime. It's under the "Japan in Malaysia" tag. 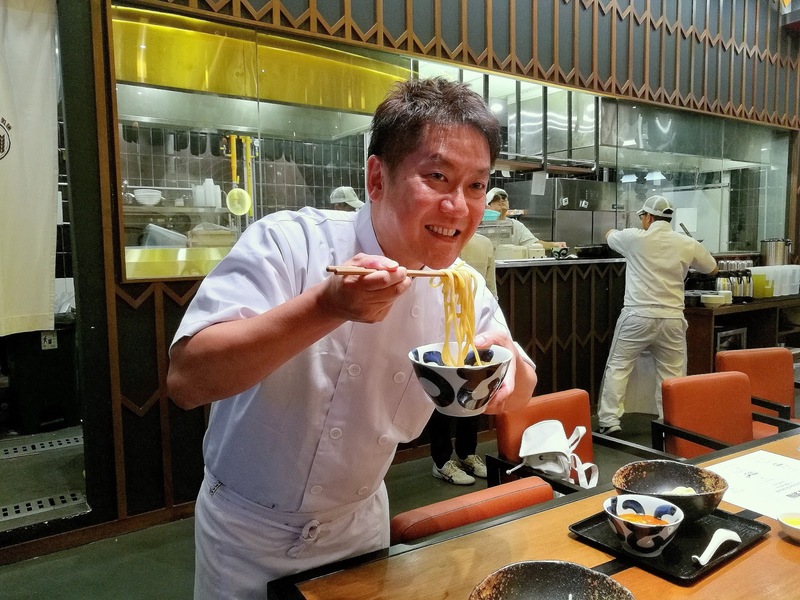 Kiyohiko-san showing us that Tsukemen eating is serious business. Originated from Naka-Meguro, Tokyo founded by Kiyohiko Nakamura, Mitsuyado has made a name for themselves throughout Japan as they are one of a kind noodle restaurant that has specializes in Tsukemen before Ramen. 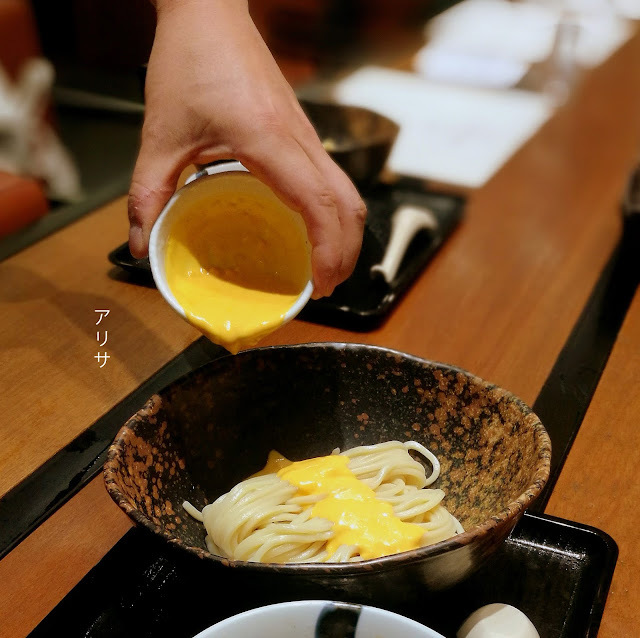 The word Tsukemen literally translates to "dipping ramen". Its common to see these 2 dishes under the safe roof especially if you have visited enough ramen shops in Japan to notice but most of them would market ramen as their specialty not tsukemen. 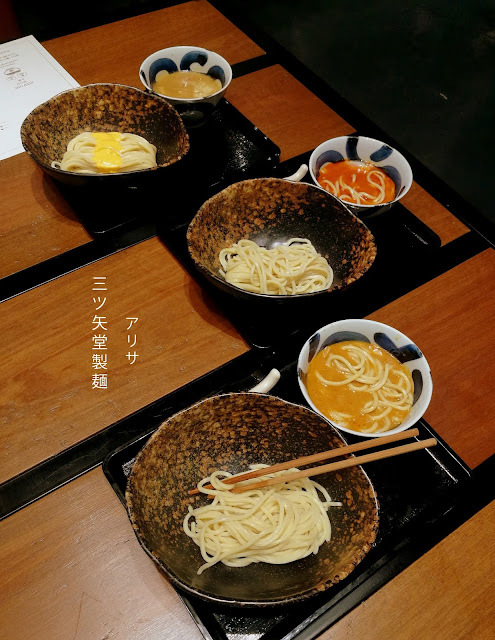 Tsukemen is actually ramen served with broth separately and you'll have to dip it in the broth each time before eating. Compared to the usual ramen served swimming in piping hot rich soup, the reason given by doing this is so that one can enjoy their ramen with stronger and richer flavors. 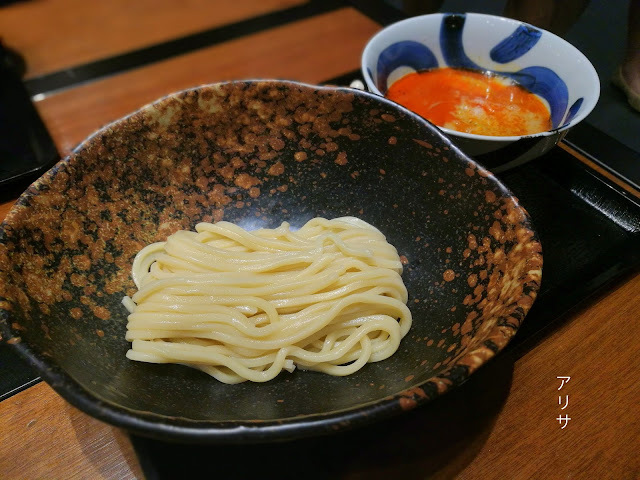 Mitsuyado Seimen's trademark is their fresh chewy wheat noodles (ingredients all the way from Hokkaido) made every single day, even in Malaysia branch as well. Each mouthful bite allows you to savor the texture of the noodles, a perfect combination of chewiness and softness. I still remember how i enjoyed noodles in Japan much more than rice especially if their noodles are made on the spot, cooked and served hot! Their (Mitsuyado) fresh ingredients imported from various parts of Japan used to make the broth too plays a huge part in completing the dish. There's a huge difference in texture and taste, so do give Mitsuyado Seimen a try and you'll definitely ditch those instant ramen noodles afterwards (tastebuds upgrade liao), i'm seriously considering of going back for round 2 wei..so hungry but i'm supposed to be on a diet *sobs* can someone donate me some metabolisms please. "We pride ourselves on providing only the very best cuisine to our customers to give them a refined dining experience. Mitsuyado views Tsukemen through the eyes of a manufacturer and we are dedicated to delivering consistency in quality in every bite"
1. Slurping noodles is acceptable, it's in fact a compliment to the chef so don't be shy about making loud slurping noises. 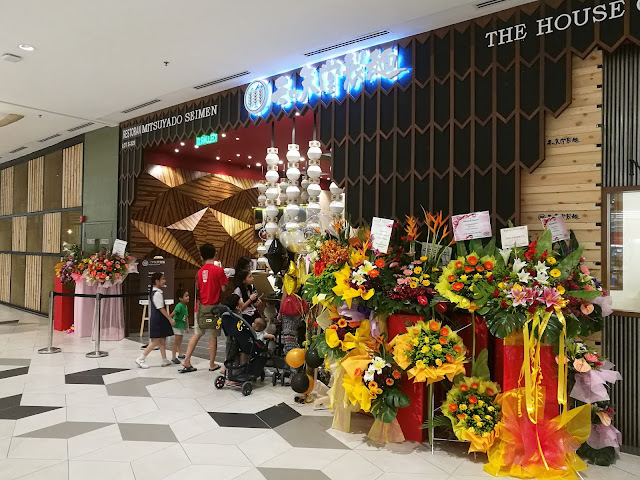 When you are in Mitsuyado, forget that you are in Malaysia and do what Japanese do! 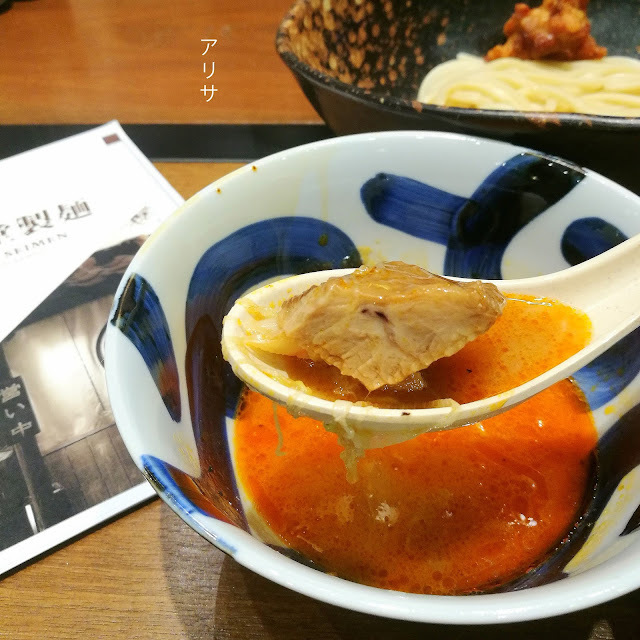 It gives a refreshing, tangy taste to it and smells heavenly too, a heavenly combination of flavors in one bowl but their Karashi Tsukemen isn't too bad too it's one of those spicy dishes i can eat without crying a river lol. 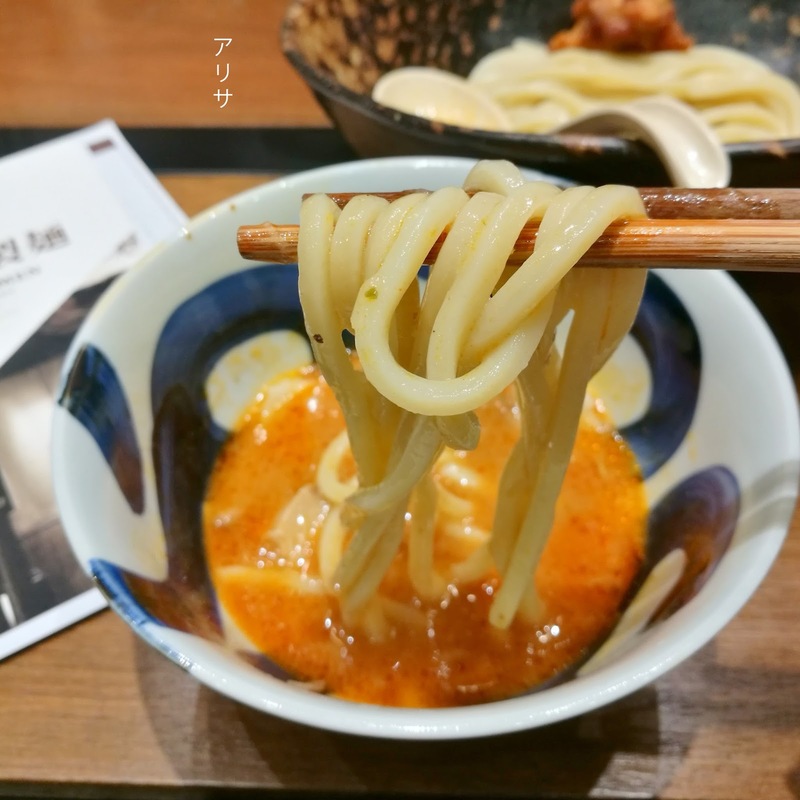 If you are not a fan of broths, you can also try out their cheese tsukemen and this seriously reminds me of pasta/ mac N cheese somehow LOL. 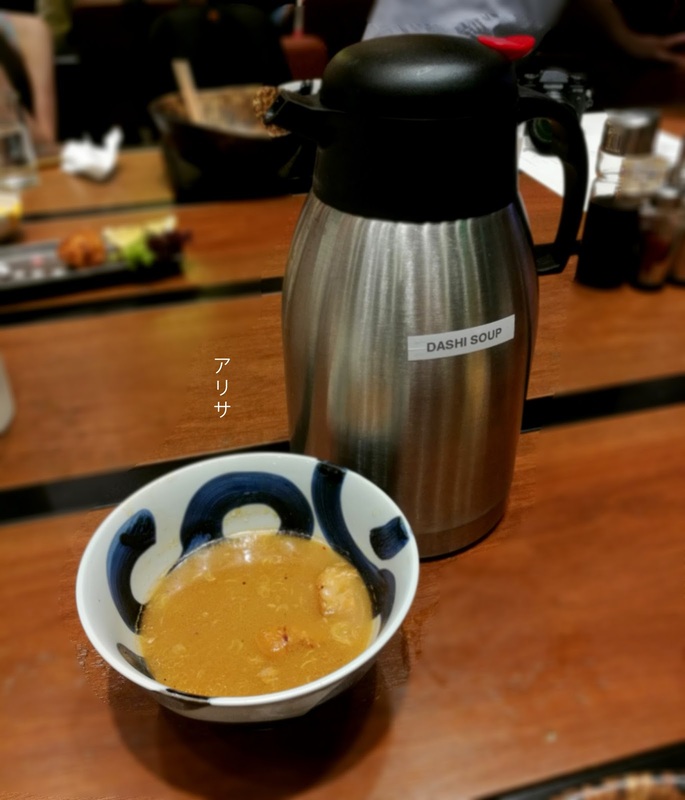 Once you are done with your noodles, you can actually finish the meal with a bowl of soup by just pouring the dashi soup into your bowl broth! uikk.. that cheese so yellow..put in the mee?? so nyum nyumm.. i like cheese..
will recommend to my chinese friend for their food hunting! 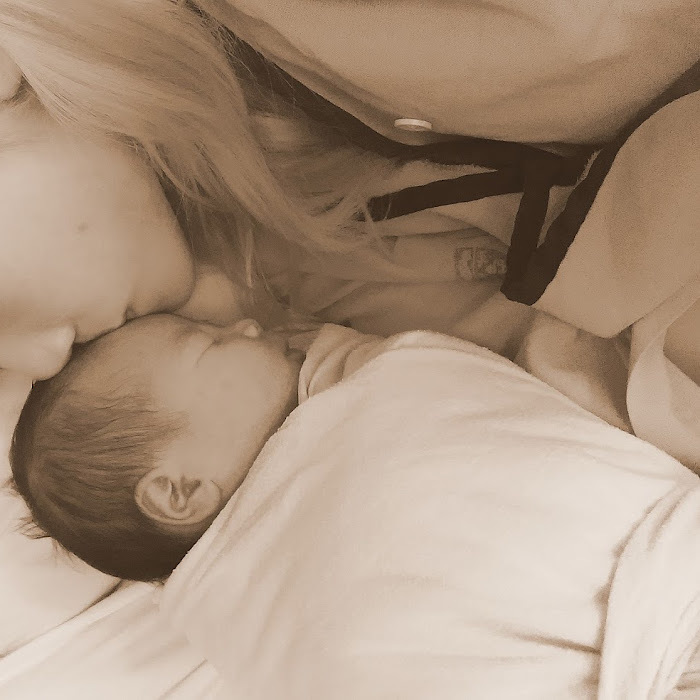 Wow you are so lucky to meet Kiyohiro-san. It is rare to meet the restaurant owners and that is the reason why I like Japanese restaurant. Meeting the customers are serious business. Wow everything looks delicious! Is it halal? I'll be in the area today, I should really pop by and give it a try the broth looks delicious! That looks so delicious. It's nice to know they use the best and fresh ingredients for their broth and noodles. I love the way it's presented. :) Cheers!! I find Japanese cuisine really likeable, even though my top preferred is still Chinese. 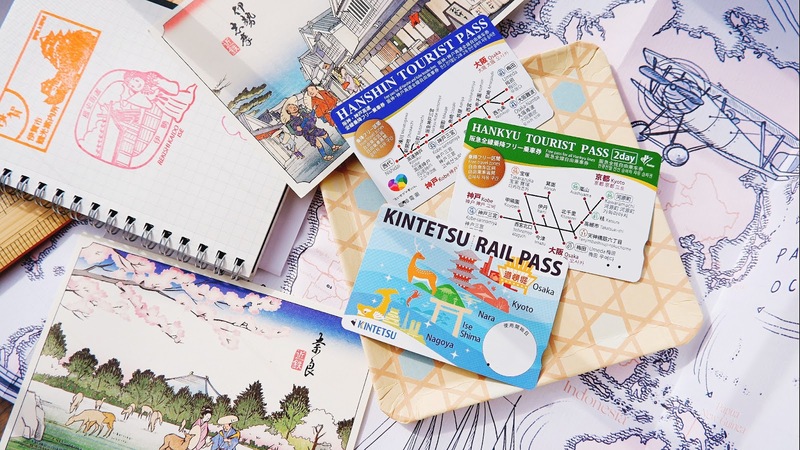 With your recommendation of Mitsuyado Seimen, I really need to go and give it a try personally.